Colophony resin is the residue left from the distillation of oleoresin from pine trees. 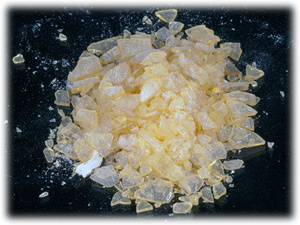 This grade comes as flakes, which can be more useful as ballet or violin rosin. Prevention: Avoid breathing dust. Contaminated work clothing should not be allowed out of the workplace. Wear protective clothing. Response: IF ON SKIN: Wash with plenty of soap and water. If skin irritation or rash occurs: Get medical attention. Wash contaminated clothing before reuse.